Orange County's premier resort. On the bluffs of Newport Beach. Overlooking the Pacific Ocean. Weddings are held under the Italian Rotunda. This view as your backdrop during your ceremony is nothing but stunning. Couples add their own personal touch to the Rotunda with custom decorations. Including drapes, flowers, and outdoor chandelier. The beautifully manicured lawn is inviting to the guests and bridal party. Luxury is defined at Pelican Hill Resort. All the amenities this Newport Beach resort offers sets it apart from other wedding venues. Receptions held in the extravagant ballroom will wow everyone. We are a local Orange County photography studio. Our speciality is creating and capturing beautiful moments. The photos we take become your family heirlooms. Quality and professionalism set us apart from other photographers. 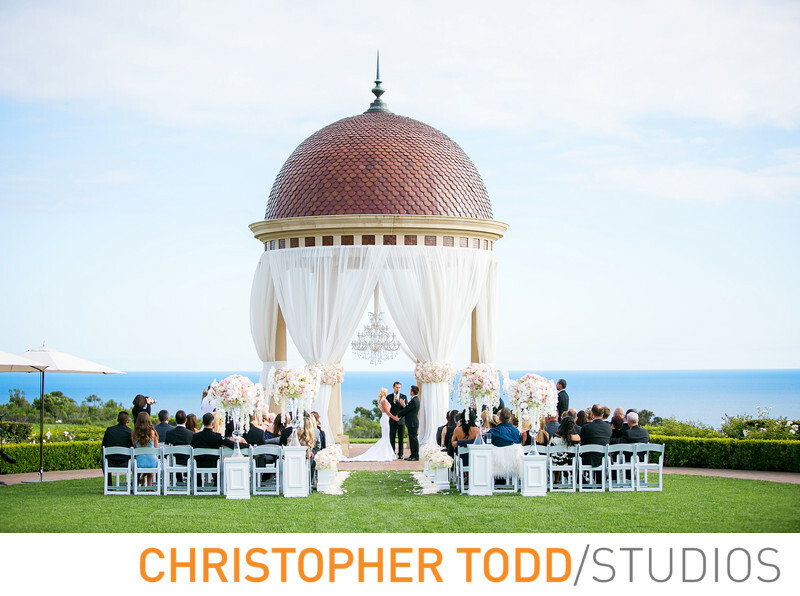 Christopher Todd Studios is a unique studio with a convenient place to meet clients, take photos inside the studio space, and design custom albums and prints all in one location. Location: 22701 S Pelican Hill Rd, Newport Coast, CA 92657 . 1/800; f/2.8; ISO 125; 70.0 mm.